Delonghi EC702/EC710 Review. An Old Premium, Still Worth Buying. 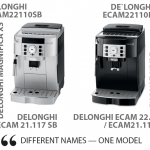 DeLonghi EC9335 ‘La Specialista’ Review. Semi-professional? Nope. 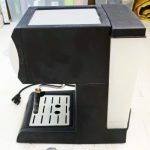 Aicook One Touch Espresso Machine looks like a good deal, but is it? Hamilton Beach Espresso Maker 40715 Review: Really Tested, Disassembled and Compared. Verdict: It’s a Compromise.